One of the frustrations of 3D printing are the little errors that crop up during a print. Whether they be drips or stringing, pockmarks or elephant feet, layer shifting or poor layer adhesion, it sometimes feels like the 3D printing gods are set against you. While there are some tools now for post processing prints, there are still a few areas where they fall woefully short. Limitations of resolution and accuracy, and the inability to create very delicate features with overhangs, will eventually drive any designer stark raving mad. Thankfully, there is a new product in the market that is sure to have makers everywhere jumping for joy. The product I’m speaking of is a revolutionary filament called Cx5sf. Adam Beane developed the Cx5 line of materials to replace sculpting clays, waxes and plastics for professional sculptors and concept artists. As we reported earlier this year, Adam Beane Industries recently created a formulation of Cx5 for 3D printing. The new product, called Cx5sf, is not a traditional 3D printing filament. It’s not a plastic; indeed it is unlike any other filament on the market. Cx5sf shares many of the same properties as its cousins, Cx5 and Cx5s (a softer variant of the sculptable material). They all handle like clay when warm, finish like wax and can be as hard as plastic when cool. What’s really unique about Cx5sf is that it can be easily modified after printing. Once reheated the print is malleable and not only can layer lines be smoothed out, but intricate details can be sculpted into the model and it can even be reposed if needed. Cx5sf doesn’t behave like other filaments. 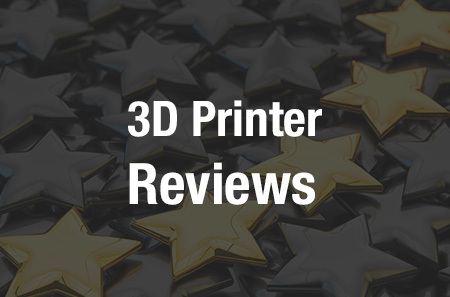 It has a very low print temperature of 70°-80°C, doesn’t require a heated bed and can be printed at up to 50 mm/sec. It is available in 1.75mm and will be made available in 3mm filament if the Kickstarter campaign meets its stretch goals. It is not susceptible to many of the issues that plague other filaments. According to its maker, it will not warp since it prints at a very low temperature and shrinkage is minimal. Cx5sf doesn’t require any special bed preparation, it will adhere directly to acrylic, glass or metal build plate or beds surfaced with painters tape or Kapton tape. And there’s no need to worry about humidity, Cx5sf doesn’t absorb water from the atmosphere and it doesn’t go bad over time. It doesn’t need to be stored in a sealed container with desiccant like traditional filaments. This remarkable material has not gone unnoticed by modelers, sculptors, SFX artists and concept artists. Legendary special-effects artist Rick Baker, who’s won 7 Academy Awards for Best Make-Up, is impressed with the versatile material. Beane claims that Cx5sf is a nontoxic natural material that is responsibly sourced and sustainable. In fact, Cx5sf can be recycled and if the Kickstarter campaign meets its stretch goal of $95K there will be a recycling program for Cx5sf and all backers will receive a credit. Regardless, backers can simply reheat and re-sculpt their prints over and over and over again. Cx5sf is a premium filament and it commands a premium price. Through the Kickstarter campaign, it is listed at $120 for a 1kg spool of filament. The Cx5sf Kickstarter has already surpassed its goal of $75K (having reached $78,425 as of the time of editing). There are a number of other interesting rewards for backers, including a highly detailed sculpt of your portrait, utilizing 3D scanning, 3D printing with Cx5sf and sculpting by Beane himself.